A beautiful Art Deco themed wall light, with a decorative bronze circular wall mount and secondary tapered black lamp support arm, topped with a faceted bronze ball lamp holder. A complementing curved 100% silk shade wraps around the fitting to complete the elegant design. The soft silk shade is supplied in a choice of vibrant or neutral colours and is hard white lined for maximum light reflection. Please see the secondary images for the full colour palette available and please specify your chosen colour in the special requirements box at the time of checkout. 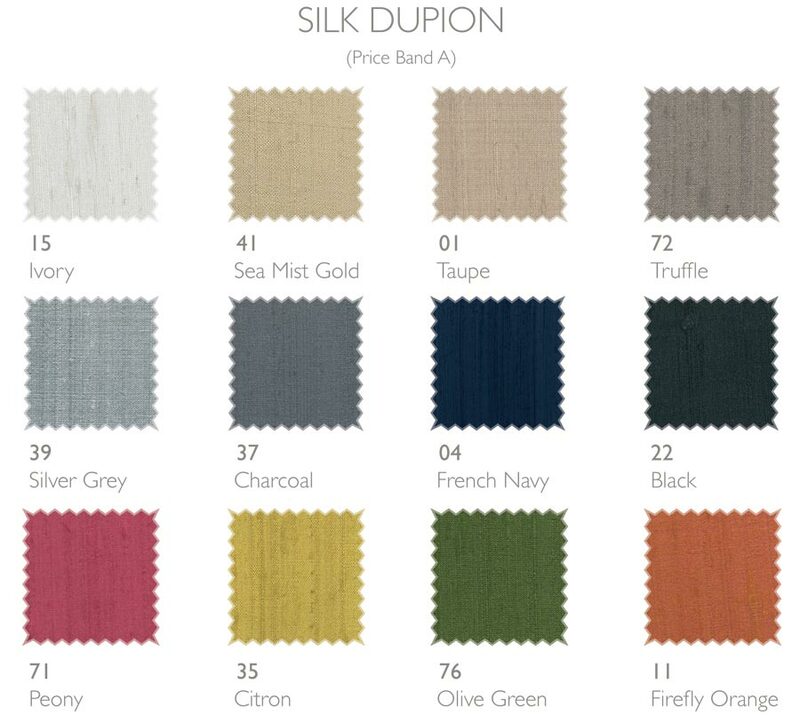 Colour fabric swatches are also available on request. A crisp white fabric shade version of this classic Contour wall light is also available to purchase, please see below for details. Handmade in the U.K. to a very high standard, please allow 2 – 4 weeks for completion of your order.